BrainSTEM. Sponsored by the APS Foundation of Arizona—the charitable arm of Arizona Public Service, which is the largest and longest-serving electric company in Arizona—BrainSTEM brought creative STEM education to underserved rural communities in the form of a 45-minute play for upper elementary and middle school students. Incorporating storytelling, improvised comedy and student volunteers, along with supplemental print and digital curriculum, the program used the creative arts to appeal to students and maximize audience engagement and retention. We believe that audiences learn more effectively if they engage creatively and emotionally with stories and characters. Just as our in-school programs embrace this belief by presenting STEM education to students in creative ways, our case story video uses an innovative blend of animation and live-action to outline the details of the program. In addition, we have prepared a PDF case story that outlines the same information in a printable supplement. Both the video and the accompanying case story provide an overview of how to effectively deliver K-12 educational programs to schools in your community. As industries in science, technology, engineering and math become increasingly unpredictable, even as they play a more important role in the global community, the impact of K-12 educational outreach cannot be overlooked. Bringing creative educational programs to schools can help STEM organizations engage the innovators of tomorrow and get young students excited about learning STEM subjects. This innovative approach to education is also a valuable workforce development tool, as it is an effective way to encourage the pursuit of STEM-related careers. Watch the case story video and download the PDF to discover what else NTC and the APS Foundation learned about delivering a high-impact STEM education program to K-12 schools. 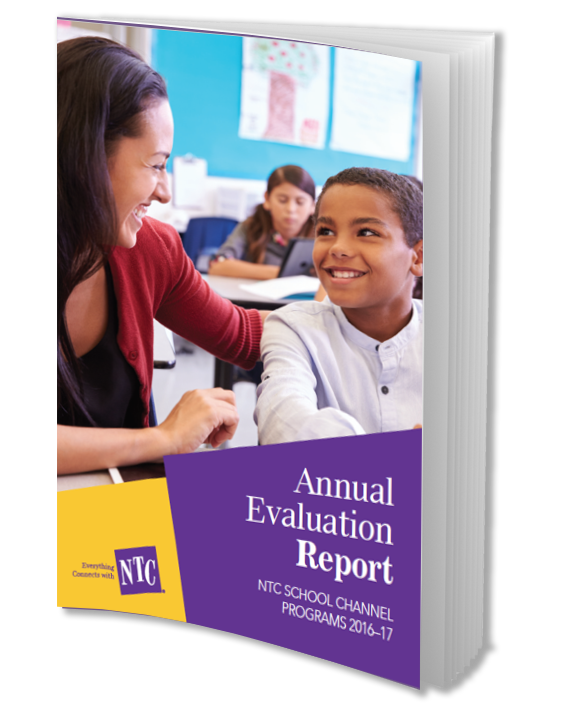 Download the case study to discover how NTC can deliver a high-impact STEM education program to K-12 schools. In our whitepaper “Measure to Create Social Impact,” NTC founder Ward Eames discusses the importance of obtaining measurable results for community outreach programs – and ensuring that those results are as effective as possible.